Homes for Sale in Oxmoor Woods | Louisville, Kentucky | Oxmoor Woods Subdivision | Joe Hayden Real Estate Team - Your Real Estate Experts! Learn more about Oxmoor Woods Homes for Sale by browsing the property listings below. 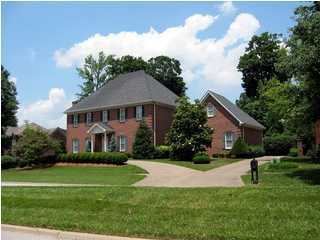 The Oxmoor Woods Subdivision is located in Louisville, Kentucky. View all Oxmoor Woods Homes for Sale on the Louisville MLS listings! The Oxmoor Woods Subdivision is located off of Oxmoor Woods Parkway between Shelbyville Road and Hurstbourne Parkway in Louisville, Kentucky. The subdivision of Oxmoor Woods contains luxury homes that feature unique, custom designs especially desirable for those who demand the best living experience available. Oxmoor Woods was developed over 25 years ago to accommodate the growing demand in Louisville for high-end residential real estate. The subdivision was constructed on land adjacent to the historic Oxmoor Farm near the intersection of Interstate 64 and the Watterson Expressway giving the neighborhood excellent access to area amenities. Homes for sale in Oxmoor Woods typically are priced from $350,000 to well over $800,000. Most of the homes in Oxmoor Woods are constructed of durable brick siding, though some of the homes will feature stone and wood siding as well. Over the years, Oxmoor Woods homes have been updated to maintain the exceptional standards that residents expect including energy-efficient windows and furnace systems, newer 30-year dimensional roofs, modern luxury kitchens, plus bathroom upgrades to make the homes sparkle. Most of the homes in Oxmoor Woods feature full basements that are typically at least partially finished to provide extra space for entertaining, bar areas to share a drink, media rooms to watch high-definition movies, plus space for pool tables and other fun activities. There is no doubt that Oxmoor Woods homes exhibit all of the characteristic of the best construction quality and functional design that one can expect in Louisville. Oxmoor Woods is located in the East-end of Jefferson County giving the subdivision convenient access to a huge variety of amenities, activities, restaurants, entertainment, and shopping. In addition, Oxmoor Woods is just a short drive from St. Matthews allowing residents the extra benefits such a great location affords. If you are living in Oxmoor Woods, you can enjoy shopping in Oxmoor Center and many other great stores along Shelbyville Road and Hurstbourne Lane. If entertainment is what you desire, you can view a great show at the Cinemark Movie Theater nearby, or have a drink at the Bristol Bar and Grille. Just a short drive away you will find outdoors activities unparalleled at Cherokee Park, plus you can drive to Louisville's Waterfront Park to enjoy beautiful Ohio River views. As you can see, the subdivision of Oxmoor Woods offers something for everyone and makes a great place to call home. You can search the Louisville MLS listings above for a Home for Sale in Oxmoor Woods at your leisure. Take the time to research the neighborhood on the MLS system and see for yourself why residents of Oxmoor Woods love their neighborhood!